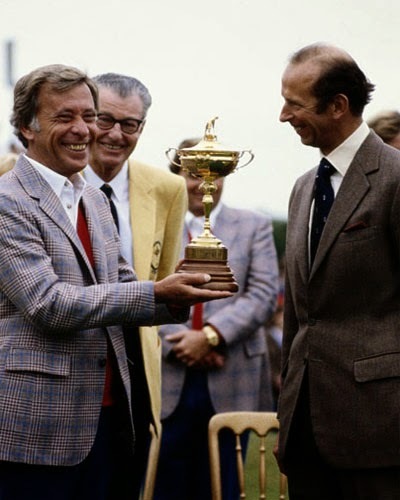 ON THIS DAY... U.S. golfer DAVE MARR won his only major in 1965. He shot a total 280 in the US PGA Championship (at the Laurel Valley Golf Club in Ligonier, Pennsylvania) to beat the likes of Jack Nicklaus and Billy Casper by two strokes. Later that day, Marr celebrated even further with the birth of his third child - Tony. Marr passed away in 1997 but forever remains "on-course" as his children scattered his ashes in places with deep meaning for the golf pro: Royal Birkdale and Walton Heath in England (remembering Marr's time with USA Ryder Cup teams) and symbolically on the 18th hole of Laurel Valley - fostering memories of his success in 1965. "At my first Masters, I got the feeling that if I didn't play well, I wouldn't go to heaven." "Never bet with anyone you meet on the first tee who has a deep suntan, a 1-iron in his bag, and squinty eyes." "Doug Sanders's outfit has been described as looking like the aftermath of a direct hit on a pizza factory." 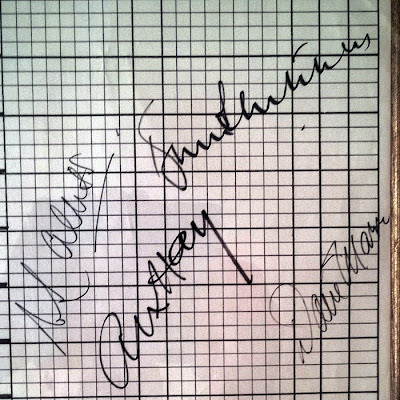 (bottom right along with three other 'anonymous' autographs)?